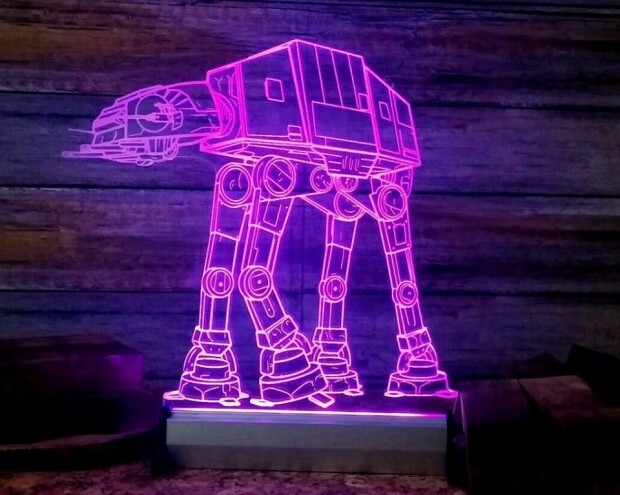 This AT-AT lamp makes quite a statement. 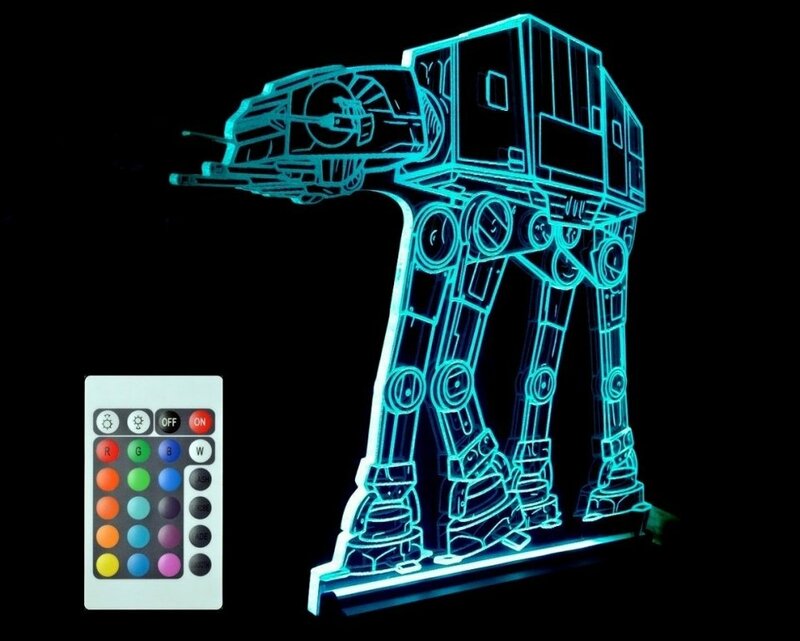 It will glow in multiple colors and even comes with a remote control. Imagine this lamp in your home at night, looking super awesome. It features a 16 color display. I would display a small snowspeeder or two nearby just to make it look that much cooler. 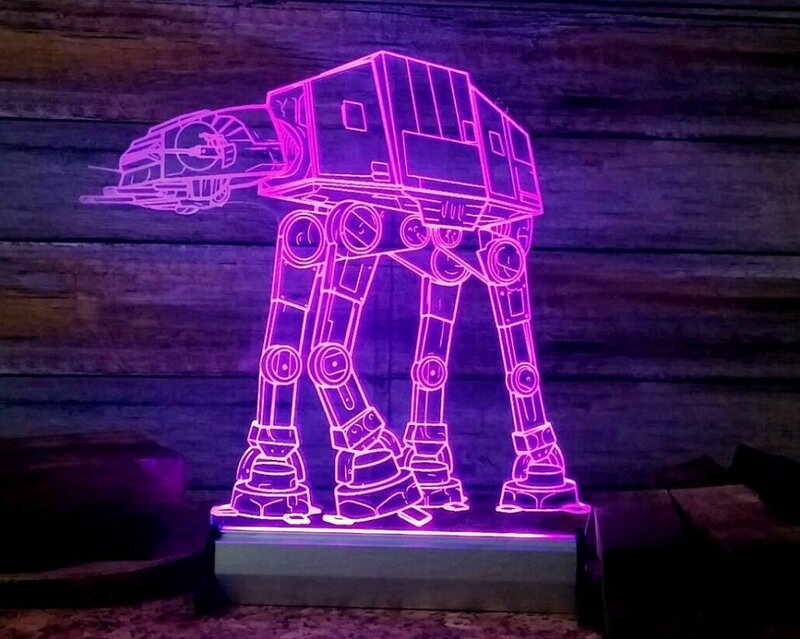 You don’t have to be a rebel hiding out on a snow planet and get attacked by the Empire to get a glimpse of this magnificent vehicle in action. 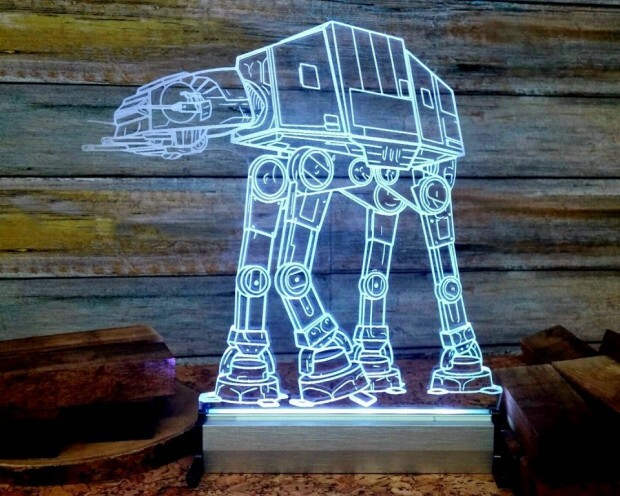 This lamp makes an awesome gift for Star Wars fans, but despite that, I’ll be getting one for myself. This thing is just too cool!